I’ve always thought of big city vacations as pricey. Hotel space is in high demand, so room rates are high. Restaurants, attractions, parking — they all add up. But, Washington, DC is one city I find easy to visit and stay on budget. The vast number of hotel rooms in the city and surrounding towns keep prices reasonable, the easy to use metro saves on car parking, and the food options are almost endless. Beyond that, many of the museums, attractions and popular sites are free making a vacation to Washington, DC with kids quite affordable! Read on to discover the best things for kids in Washington, DC! (and for grown-ups, too). 1. Book one of the dozens of Washington, DC hotels near metro stations. 2. Consider a hotel just outside the city. 3. Look for vacation packages. Other attractions to add to your Washington, DC family vacation. The best places to stay in Washington, D.C. are located near metro stations, helping you save both time and money! Parking in DC is expensive, and traffic congestion makes it hard to drive in the city. Select a hotel near the metro to use their convenient public transportation during vacation to save. Hotels near Washington, D.C. tend to be less expensive. If you drive to DC, you’ll save on car parking alone. Most hotels in DC charge upwards of $40/night for your car. That’s not valet parking! In Arlington, most hotels provide FREE self-parking. Hotel rack rates tend to be cheaper, too! See? hotels outside of Washington, DC are worth a look! Besides that, when you’re thinking about where to stay in Washington, D.C. for sightseeing, Arlington and other nearby communities might put you closer to what you want to see! When considering where to stay in Washington, DC (or nearby in Arlington or Alexandria), look for vacation packages that help you cut costs. Hotel websites are a great place to find those specials. The local visitors’ bureaus also offer vacation savings packages that help you save money — and make planning easy! 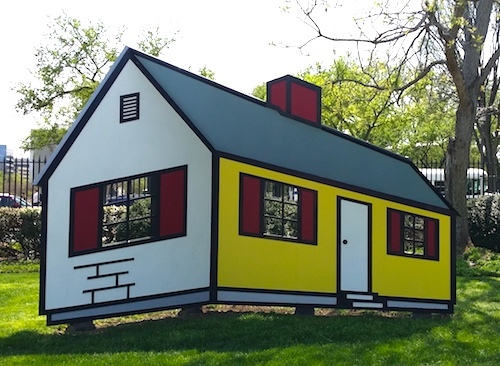 Stay Arlington Vacation Packages — summer packages include bike rentals, admission discounts, shopping discounts and more at a variety of participating hotels. Extraordinary Alexandria Vacation Packages — summer packages include FREE PARKING and attraction passes, as well as discounts for Mount Vernon at a number of hotels. Loudon County, “Lakeway to the Smokies” — This region, west of Washington, DC, has affordable hotel options and great lake house getaways. Prince William County — Home to Quantico, shopping and the countryside southwest of the Washington, DC, has easy access from I-95 and offers affordable lodging options. Check the website for seasonal specials. Fairfax County — Just across the Potomac from Washington, DC, family friendly Fairfax County is just a short metro ride away. Check their website for specials and deals on lodging, dining and attractions. On my last trip, I stayed at the Residence Inn in Arlington, VA, near the Rosslyn Metro Station. The hotel is minutes from downtown Washington D.C. and Georgetown and includes well-equipped kitchens with stainless steel appliances, a Keurig coffee maker, and everything you need to enjoy a home-cooked meal. This is just one of the many family friendly hotels in Washington, D.C., offering the space and conveniences of home for flexible vacation planning. 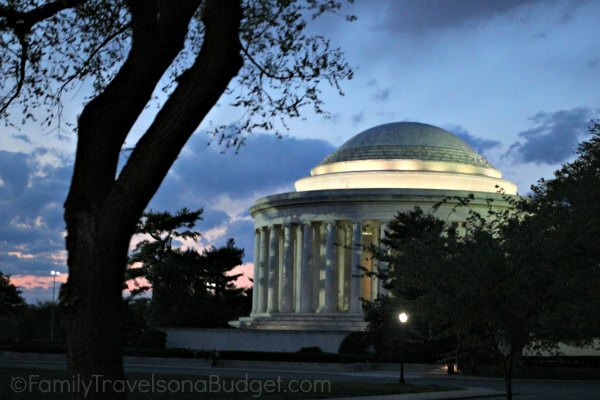 There are so many things to do in Washington, DC, and many of them are free! In fact, one of my favorite things about visiting DC on a budget is that it’s easier than you might think. Here are my favorite things to do in Washington with kids on a budget! The Smithsonian Institution, a collective of 19 museums, galleries, gardens and the National Zoo, is free to the public. That’s as budget friendly as it gets. Many are located near the National Mall and easy to reach by metro. Two of my favorites are the Natural History Museum (maybe because I’ve long been a fan of Teddy Roosevelt) and the Air & Space Museum (because as an Ohio native and North Carolina transplant, air and space are part of my DNA). On my last vacation to Washington, DC, I went to the DEA Museum in nearby Arlington. Admission to the museum is free. The history of the DEA necessarily addresses difficult issues of drug addiction, drug trafficking and vicious crime. I don’t recommend the museum for kids younger than age 12, but I do think the museum helps visitors understand the fight our law enforcement agencies, and the DEA, face every day. Prepare to discuss the exhibits afterward with your kids to get the most from your visit. They have some good brochures to facilitate the dialogue. I will say, of the museums I’ve visited, some of what I learned here stuck better than anywhere else I have been. Two spots on the National Mall deserve special attention: The National Gallery Sculpture Garden inspires the imagination. And, at the United States Botanic Garden, kids can become botanists for a day with free kits available at the information kiosk. Or, just wander through to admire the many colorful species on display. In spring, the hydrangeas really show off! Theodore Roosevelt Island in Arlington (near the Rosslyn Station). The island includes 91 wooded acres and a memorial, fitting for the father of our national parks. Kenilworth Park & Aquatic Gardens at 1550 Anacostia Ave, NE in Washington, DC (near the Deanwood Station). This national park, which opened in 1926, is dedicated to water plants and animals. Raised boardwalks take visitors along trails to see water lilies, hyacinths, lotuses and blue heron (and more) at this oasis in the city. Great Falls Park at 9200 Old Dominion Dr., McLean, VA (not accessible by metro — you’ll need a car for this one). This park presents the Potomac River in stunning fashion. I’ve seen the river from many vantage points, like Mount Vernon, and it appears to be a wide, lazy river that meanders through a busy city. At Great Falls Park, you’ll experience the other face of the river — with water crashing over rocks and cliffs at Mather Gorge. It’s not Niagara Falls, but it is impressive! The park features six different hiking trails. Visitors can also go kayaking or explore the park’s visitor center. Hiking tip: The River Trail offers the best views of Mather Gorge. Admission is $10 per private vehicle, or $5 per person. NPS pass holders get in free. Sounds crazy, right? But when you go behind the scenes in Washington, you get a glimpse into the day-to-day life of our government officials. And most of them are free! 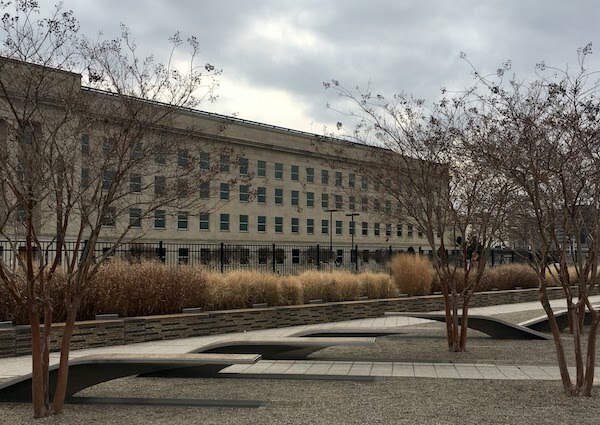 Read here about my tour of the Pentagon, which includes things to know to schedule your trip (you have to plan in advance). 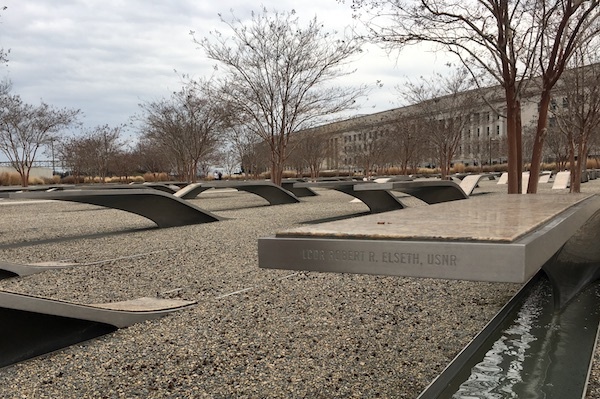 At the Pentagon, allow time to visit the Pentagon Memorial, which remembered the tragedy of September 11, 2001. Other government buildings you can tour include: The US Capitol, the Supreme Court Building (no advance reservations required), and the White House (advance tickets required). Of course, there’s lots of other sightseeing in DC. 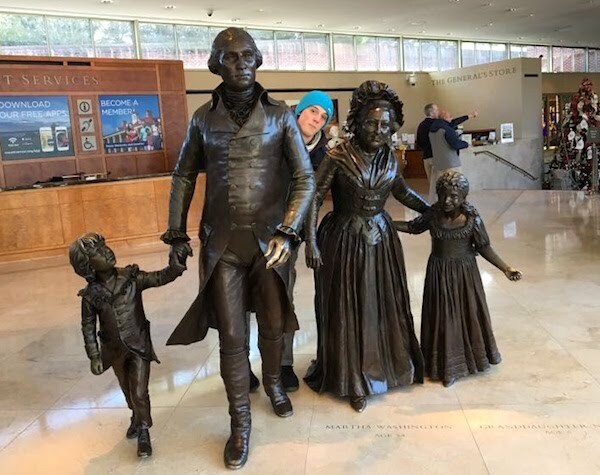 When planning a trip to Washington with kids, these are my favorites. Some are included in hotel packages from time to time and others are included on the Washington D.C. Explorer Pass. So, even if they are paid attractions, you still can save money on admission! The International Spy Museum is both entertaining and informative. In essence, you become a spy in training as you go through the museum, which makes it more engaging. 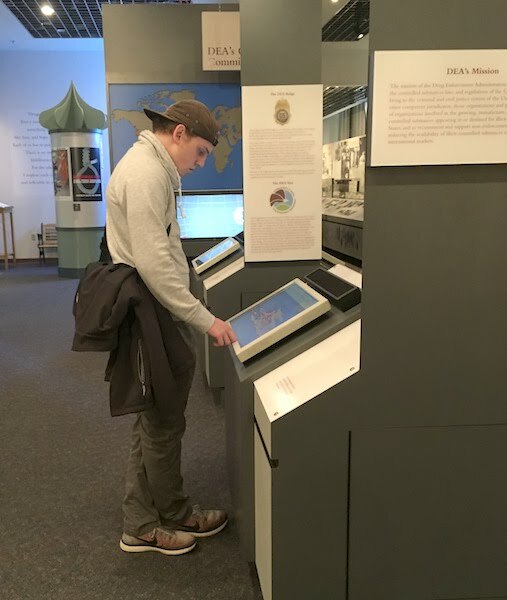 A budget-friendly alternative, which is really fun for families, is their “Spy in the City” adventure which uses a GPS device to go into the neighborhood around the museum for a memorable, engaging adventure. George Washington’s Mount Vernon, near Alexandria, transports visitors back to Colonial America. Learn about life in the late 1700s and the many decisions our first President had to make. Save money on your Mount Vernon visit by purchasing tickets in advance online. Monuments by Moonlight, my favorite DC tour, hands down! The monuments and memorials in Washington preserve the history of our nation and its leaders and the people who fought for freedom. They’re great to visit during the day, but a nighttime tour makes them come to life in a whole new way. Tours sell out, especially during school breaks and the holidays, so buy in advance — and save! Arlington National Cemetery, where President John F. Kennedy is buried and many other people are remembered, is free to visit, but you’ll pay for parking or if you take a bus tour of the grounds. We planned an hour to tour the cemetery — and four hours later, we finally left. I learned a lot of history — but more, I gained a deeper understanding of the sacrifice it takes to preserve our freedom. Not just on the battlefield, but in selflessly serving our nation. If you happen to find American history fascinating like I do, consider a small group, personalized walking tour to see and learn it all. This is by no means an exhaustive list of all the places to visit in and around Washington, DC, but they are some of the best. 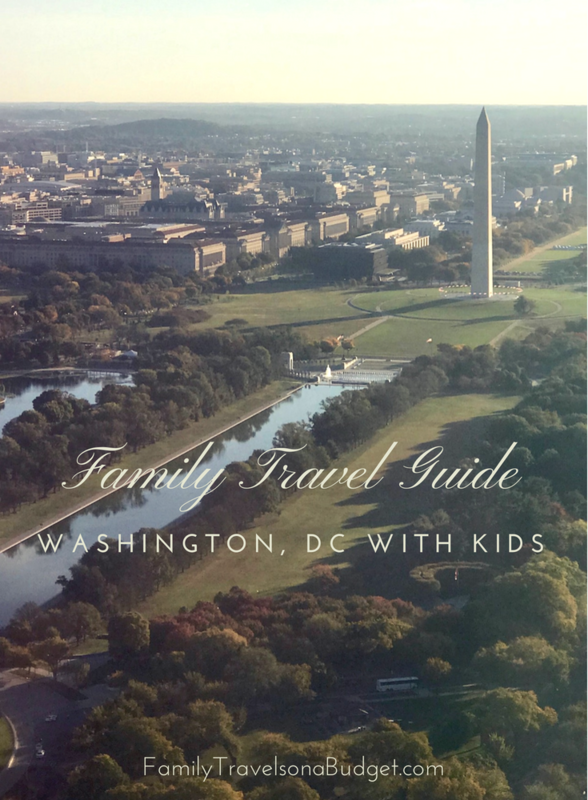 I hope highlighting my favorites will help you plan your Washington, DC family trip more easily. Have you ever driven past DC on I-95? YEP! Traffic congestion is the name of the game. I have friends who live in the DC area, and they don’t go out by car between 11 a.m. and 7 p.m. If the locals don’t like driving, then why would I want to try? Also, parking in DC is expensive. Very, very expensive. And limited. So, leave the car at the hotel and use other transportation instead. Seriously, even if you’re intimidated by public transportation, DC is easy. I promise! 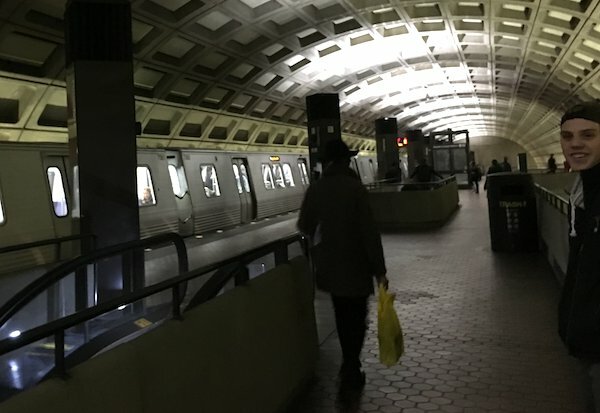 The first time we took the DC Metro, I was a nervous mom with hubby and two kids in tow. Living in the “country,” public transportation was unfamiliar. Our first experience with the metro was so easy, I took the boys to explore the area while my husband attended business meetings the next day. Use this Beginner’s Guide to the DC Metro to see for yourself just how easy it is! Greater Washington has great bike paths and trails connecting tourist areas. Three’s even a bike trail from Alexandria to Mount Vernon that runs along the banks of the Potomac River. It’s a beautiful, easy ride. Bike rentals are an inexpensive, fun way to get around the city. Rentals include helmets, locks, handlebar bag and tire pump for emergencies. Planning a trip to Washington, DC with kids is a surprisingly affordable vacation choice. Just remember, when planning a trip to Washington, DC, look outside the city for better prices on hotels (and free parking). 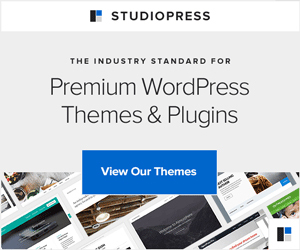 When considering what to do in Washington, DC with kids, visit some free attractions like the Smithsonian Institute Museums, the National Gallery and the monuments. It’s a budget vacation goers dream destination!